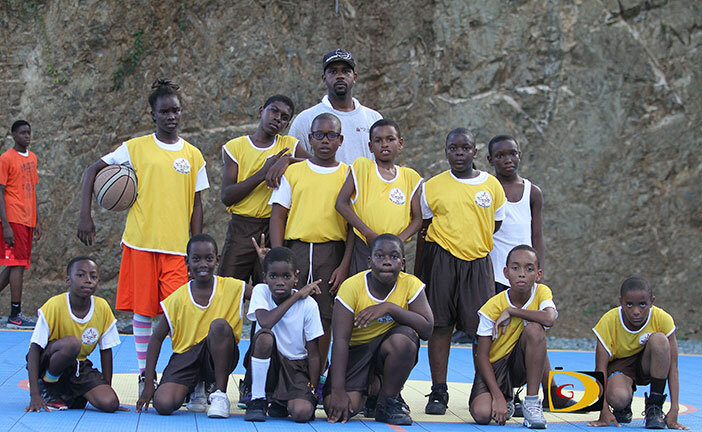 Sparked by Elroy Bollers, Althea Scatliffe bested Ivan Dawson and Isabella Morris to highlight the first full weekend of the Primary Schools Basketball League play on Saturday, then improved to 3-0, with Monday’s win over Seventh Day Adventist. Bollers had a game high 22 points in leading Althea Scatliffe past Ivan Dawson 38-19. Mekhi Smith was Ivan Dawson leading scores with seven points. Bollers followed up with 21 as Althea Scatliffe overpowered Isabella Morris, 31-20. Malik John was Isabella Morris’ top scorer with 13 points. Bollers cooled off his double digit scoring binge with six points as Althea Scatliffe turned back Seventh Day Adventist, 25-21. Lenique Austrie was Seventh Day Adventist ‘s leading scorer with a game high 10 points. 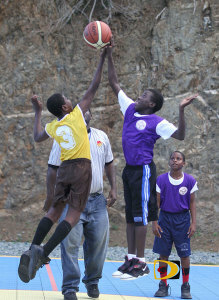 Tyriece Carrasco had seven points to lead Virgin Gorda’s Bregado Flax over Ebenezer Thomas, 22-8. Joyce Samuel got 14 points from Jaheem Gumbs and 10 from Timoy Smith then went on to beat Francis Lettsome, 28-18. Francis Lettsome was coming off a 22-11 lost to cross town rival Willard Wheatley. 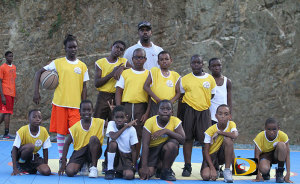 St. Georges improved to 3-0 with a thrilling one point 26-25 victory over Alexandrina Maduro. 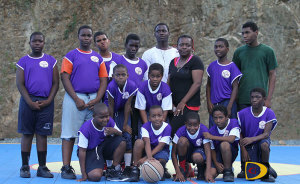 Jamari Scatliffe led St. Georges with 11 points while Alanzo Baptiste had a game high 14 points for Alexandrian Maduro. Alexandrina Maduro returned later in the day to get past Joyce Samuel, sparked by Baptiste’s 10 points. Jaheem Gumbs was Joyce Samuel top scorer with seven points. Enis Adams trimmed Willard Wheatley, 17-11. Kawa Williams was Enis Adams’ top scorer with seven points. Kwabena Joseph had eight for Willard Wheatley. Malaki Smith dropped in 15 points to lead Ebenezer Thomas to a 28-16 triumph over Ivan Dawson. Deon Edwin had a triple double to lead the Bayside Blazers past the Knights, 81-74 on Sunday to win the 2nd Hon. 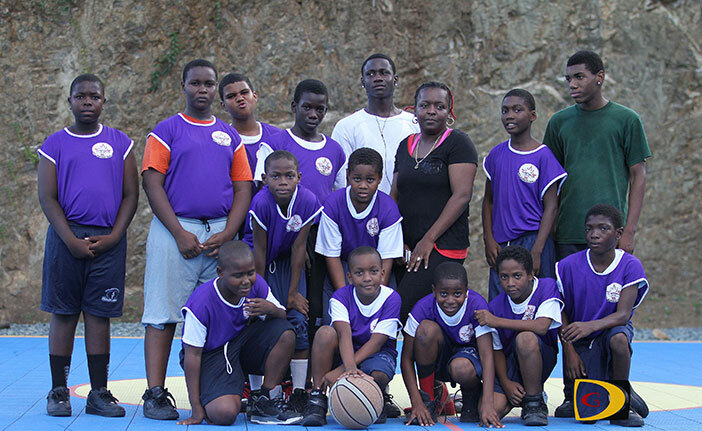 Julian Fraser Basketball League title. Bayside Blazers opened the best of three series with an 88-76 Friday night victory before the Knights forced the deciding game during Saturday night’s 72-71 triumph after squandering a 19 points lead. Edwin—who had 30 points in the opener and 35 in Saturday’s loss—dropped in a triple double, finishing with 18 points, 10 rebounds and 12 assists. Asim Beaser added 16 to the tally, while Shakeem Peters and Chaurbin Smith contributed 14 points apiece. Nichols Charles was the Knights leading scorer with a game high 23 points. Jevon Serrant and Romano Peters followed up with 19 points respectively.